※ first 20 people get in for free! 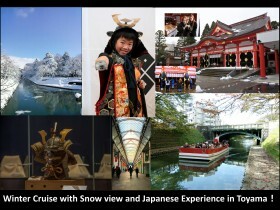 Contents The world famous “Scavenger hunt” has finally reached Toyama city! 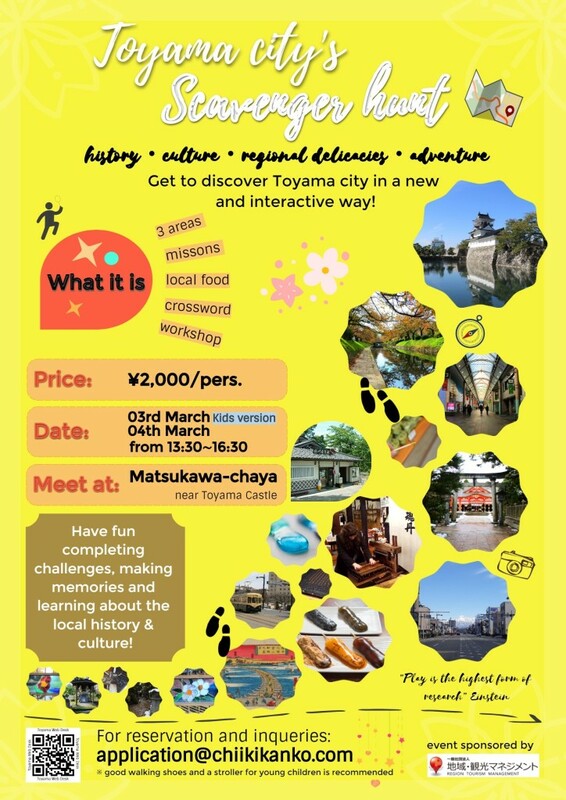 Let’s explore downtown Toyama in a fun and interactive way! Solve riddles, complete various challenges, learn about the local history and much more! This time, we divided downtown Toyama into three areas for the hunt! Our “Scavenger hunt” is a mixture of puzzles and missions made especially for tourists to enjoy and explore the city in the span of 2-3 hours. *Application on the same day is also possible if the maximum number of participants has not been reached. Please send us an e-mail to check if there are any availabilities. After application We will send you further details by e-mail when the day of the event approaches.